Forms is a very popular service from Google that allows users to create and manage online forms easily without any extra technical knowledge. 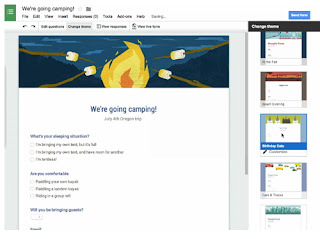 Google introduced custom themes feature for Google Forms, that means from now users can set their own images to Google forms background or users can choose the themes from wired list of of in-built themes. To set custom themes for your Form please follow below steps. Finally Click on Send Form and share the form. That's all!